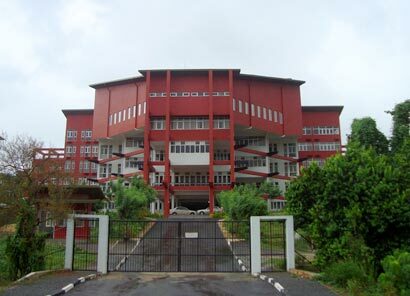 The Malabe private medical college should never be allowed to award the Sri Lankan MBBS, Medical Faculty Students Action Committee representative Najith Indika said yesterday protesting opposite the University Grants Commission (UGC). “Anyone with Rs.6 million can do medicine at the Malabe private medical college which is yet to build its own hospital for the clinical training which is a necessity for any MBBS course,” Indika said. The best of the science stream at the G.C.E. Advanced Level enter the eight medical colleges island wide and sometimes the people who get three A’s also don’t make it to the local medical colleges, Mr. Indika said. “The resources of the local medical colleges should be expanded so that they can accommodate external students or bigger batches,” Mr. Indika said. This protest is to get the attention of President to focus his attention on the medical college issue and bring about a viable solution to this issue, he added. Students from the eight medical faculties of the universities island wide took part in yesterday’s protest from Punchi Borella to the UGC.